This year, TVI is the official partner of the village scene. It offers choreographies and animations for your children throughout the day. TVI has an explosive cocktail of free and sunny shows in store for you! A great family weekend, everyone finds their place! OK Corral, provides a space with entertainment, the cowboys and Indians offer you games, workshops and snacks, enough to make your children happy! In partnership with Le Castellet Nature Aventure thanks to the Kids Club, your children will be able to jump on trampolines, drive electric carts, bounce around in inflatable structures and ride on a miniature version of the mythical Paul Ricard Circuit with pedal go-karts. Rifle shooting, carousel, bumper cars… a program always more varied to offer you a weekend of exception with your friends and family. Nearly 200 exceptional trucks will be present at Paul Ricard! Americans, Ancients, Decorated, Carriers or Tunings, they will dazzle you all weekend long! Don't miss the 2 big parades on the Track: Saturday evening at 6:45 pm and Sunday at 12:00 pm. Take your place from 6pm in the stands and on the terrace of the stand building, to attend the Saturday evening events in a straight line, which will close with the must-see fireworks display and signing session. 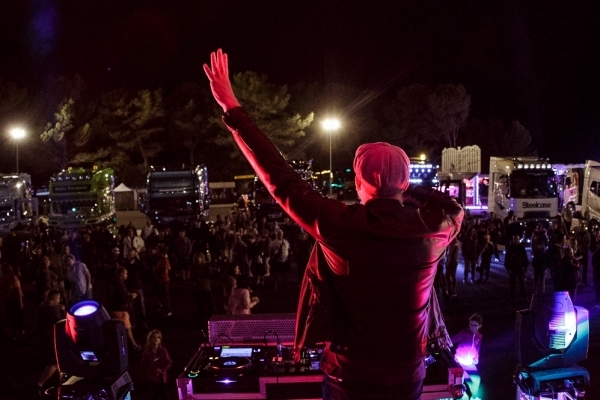 After the fireworks, we are waiting for you on the village stage to dance until the end of the night thanks to our concert hosted by DJ Loran: 80's, 90's, rock, electro,.... there will be something for everyone!